Aspirinox Alloys Inc is one of the nationwide dealers and Stockist of Duplex 2205 / UNS S31803 Bars, Rods & Wires, serving high in quality Duplex Steel UNS S31803 Bars that features Long service life, excellent performance, high Strength, weldability, low maintenance, and more. We also offer these Duplex 2205 & UNS S31803 Rods in the custom-made specification as per the client’s requirements. Our Duplex Steel 2205 Bars are made up of nitrogen-enhanced Duplex material that used in applications requiring high strength and excellent corrosion resistance. However, Duplex 2205 Stainless Steel provides improved resistance to stress corrosion cracking, pitting and crevice corrosion. 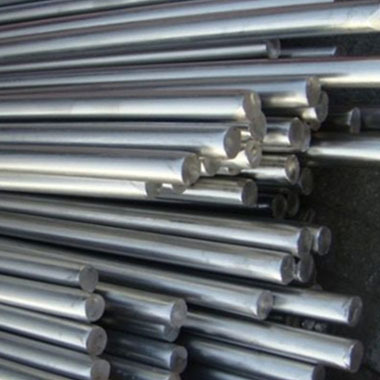 Furthermore, we deliver exemplary Duplex Steel UNS S31803 Round Bars that is widely used ferritic and austenitic Duplex stainless steel bars. As a global leader in the supply and distribution of Duplex 2205 Round Bars, our steel is used in oil & gas, hydropower, pressure vessels, pulp & paper, structural components, chemical tankers and many other industrial applications. At Aspirinox Alloys Inc, we offer fully integrated Duplex cold finishing bar with square, rectangular, flat, hollow etc. shapes at market leading prices that will exceed your complete needs and expectations. Contact us now and request a free quote today! Specifications for Duplex 2205 / UNS S31803 Bars, Rods & Wires. If any specification is not mentioned here, please use the contact button for quick quote. Request the latest Duplex 2205 / UNS S31803 Bars, Rods & Wires List. Please click on the request a quote button or click here to request the updated price list and ready stock information along with your requirement. Aspirinox Alloys INC maintains a stock of all standard items and can export them at best price for Duplex 2205 / UNS S31803 Bars, Rods & Wires.